Today is World Autism Awareness Day. To help raise awareness, we will be releasing a podcast all about heading of to college with Autism Spectrum Disorder and other special considerations later this month. 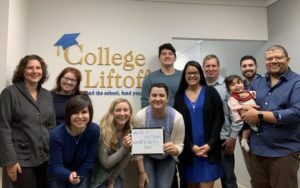 College Liftoff has worked with many teens with ASD and other learning considerations to pursue their dreams and find their best educational path. Teens with ASD can be incredibly successful in college; ASD is just another factor to consider. College research is incredibly important; as is career development. Please check back to hear our podcast about special considerations for college-bound students with ASD and learning differences.